Researches at MIT have created a robot-assisted carpentry system called AutoSaw that is made up of semi-autonomous robots linked to design software. At this point the system is fairly rudimentary and requires human oversight, but the AutoSaw is a proof of concept that shows how robotics could benefit a carpenter or joiner. To use AutoSaw a template is selected from the software (for instance a table, chair or shed) and then the shape and size can be adjusted until the user is satisfied. The order is then translated into instructions for the robots, that will autonomously lift, carry and saw the wood to the correct size. MIT CSAIL postdoc Jeffrey Lipton who published a paper describing the work says that this is just the beginning. Once the basic elements are in place the underlying technology could be incredibly useful. With robots sawing the wood, the system could protect carpenters from injuries, such as sawing a thumb off accidentally. 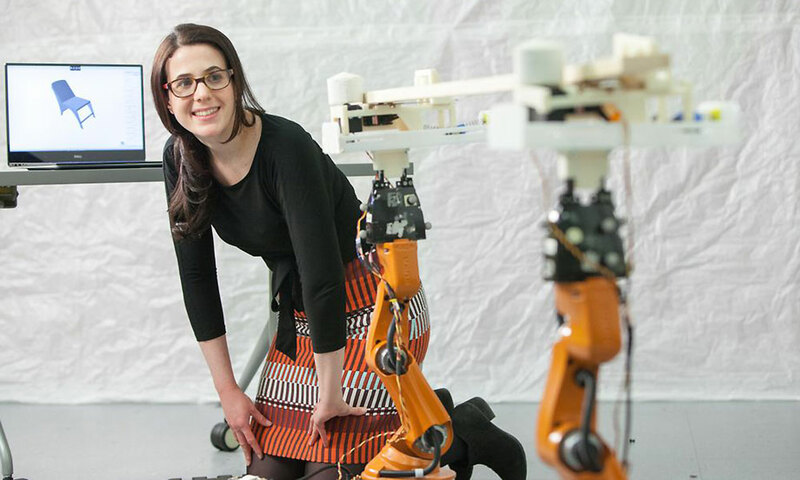 AutoSaw draws on features from earlier projects like IkeaBot (which used robots to assemble flat-pack furniture) and InstantCAD — software spearheaded by MIT PhD student Adriana Schulz, which makes it easier to adjust designs because the software automatically calculates things like internal stress and resistance. This means that if you modify a table to make it the right size for a customer, the software will let you know if it’s structurally sound. “Wood may not be a futuristic material — but it does have a future”, say Lipton, adding that these projects are about exploring what technology can do to make working with wood easier and more productive.